It has been three months since I did my last Good Reads post. I have been reading a lot. I have read in the car while travelling (for swim meets), in hotels, at the pool waiting during swim meets, waiting for my son to be done with basketball practice, and at night before bed. Because of the crazy, busy time with a lot of waiting time, I have been able to read 35 books in the first three months of the year. A book goes with me everywhere. I have read some great books and some, not so great books. Here are a few that I really enjoyed. 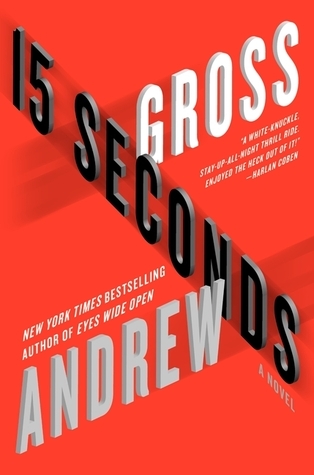 This fast paced mystery, 15 Seconds by Andrew Gross that started off quickly and just kept going. There was action during most of the book. I loved how the characters were connected yet most of the book I wasn’t sure how. It tied together nicely at the end. There was little graphic violence that worked with the story. I think what I loved the most was that I kept thinking how just 15 seconds can change someone’s life. 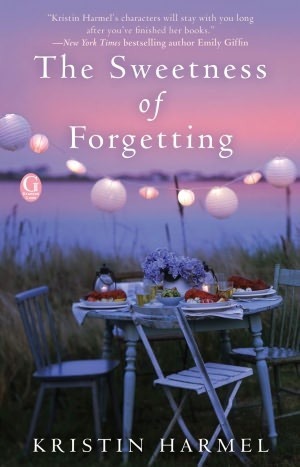 The Sweetness of Forgetting by Kristin Harmel was such a sweet love story with Alzheimer’s as the current conflict and the Holocaust as the past basis for the what was going on now. It just worked. Unfortunately I had several other books to tell you about, but when I went to save my draft so I wouldn’t lose it while I proof read it, the rest of my post disappeared. Since I do not have time to rewrite it, you only get two books from my Good Reads “Read” section. I sure hope you are finding time to read. Is that true to you? Even when you are reading for fun and relaxation, are you learning? I think I am.